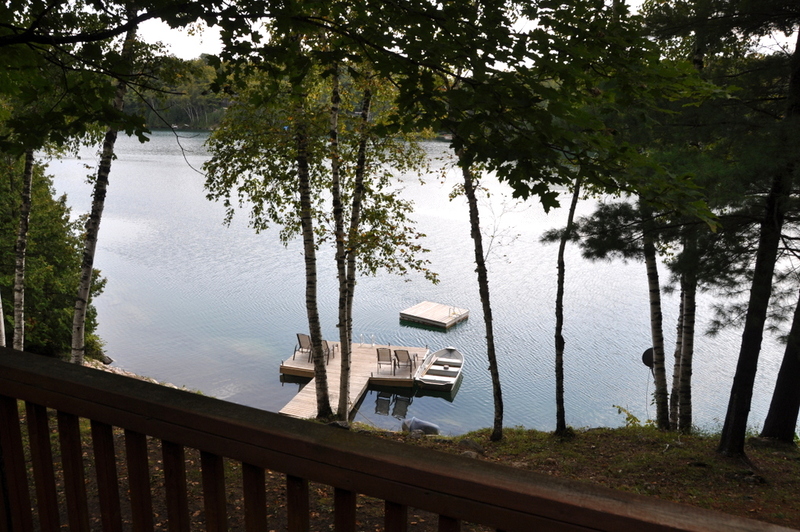 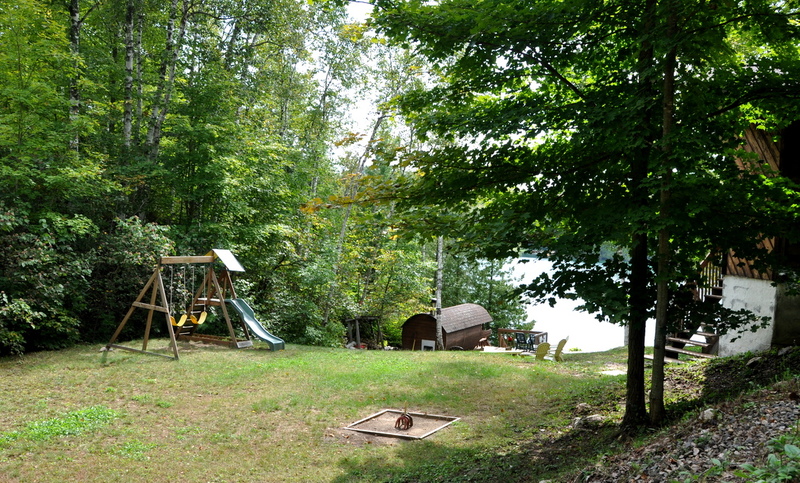 Here is a wonderful 3 bedroom cottage with a separate sauna by the shore of this quiet lake. 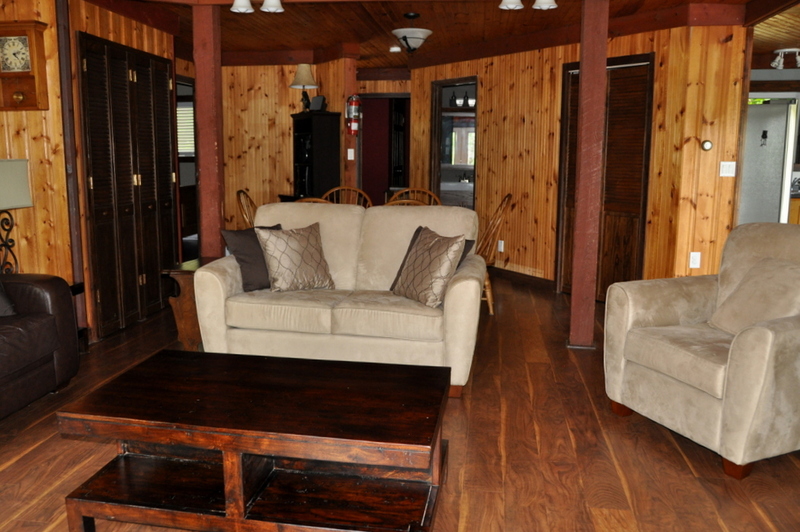 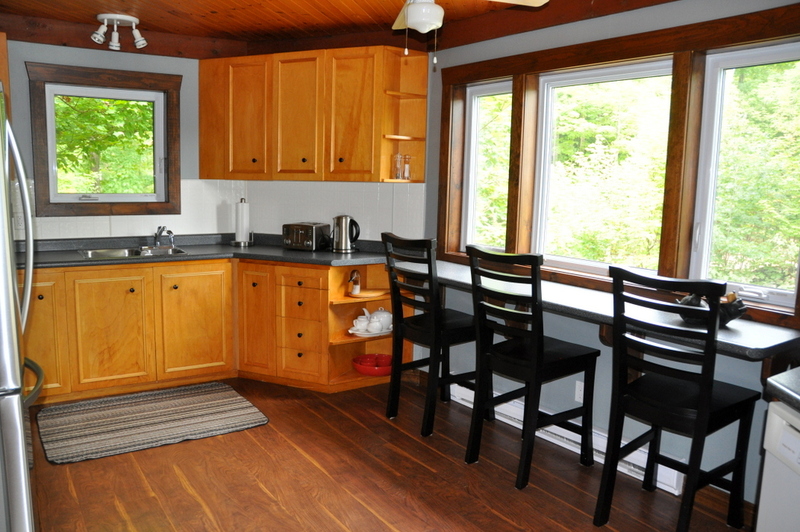 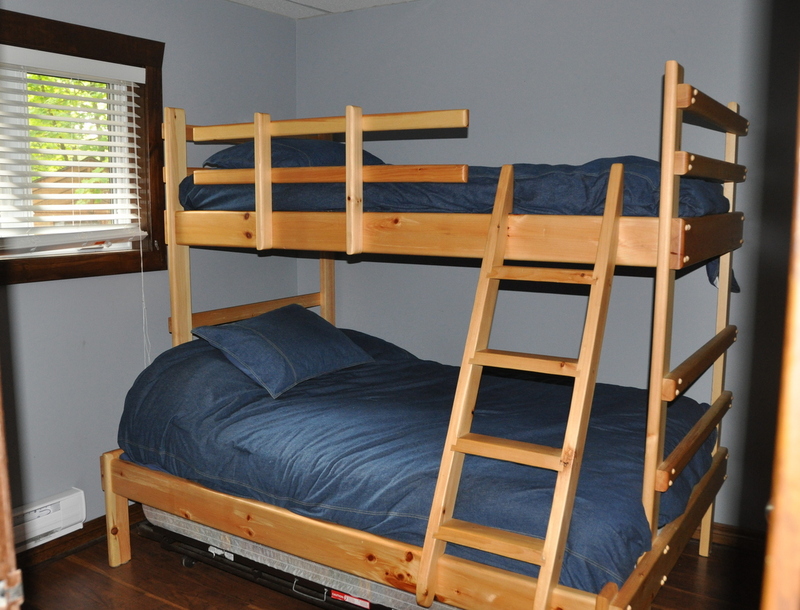 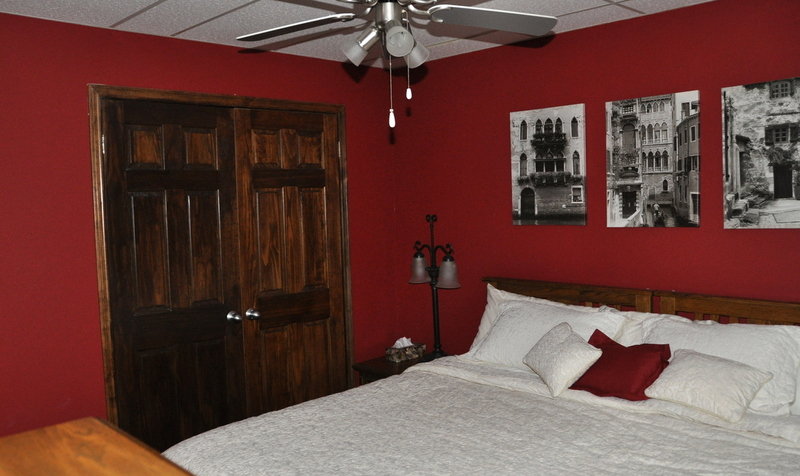 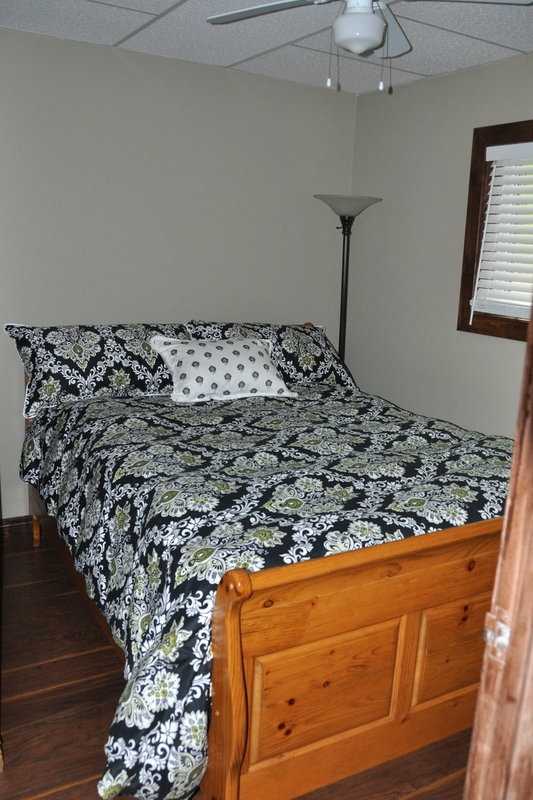 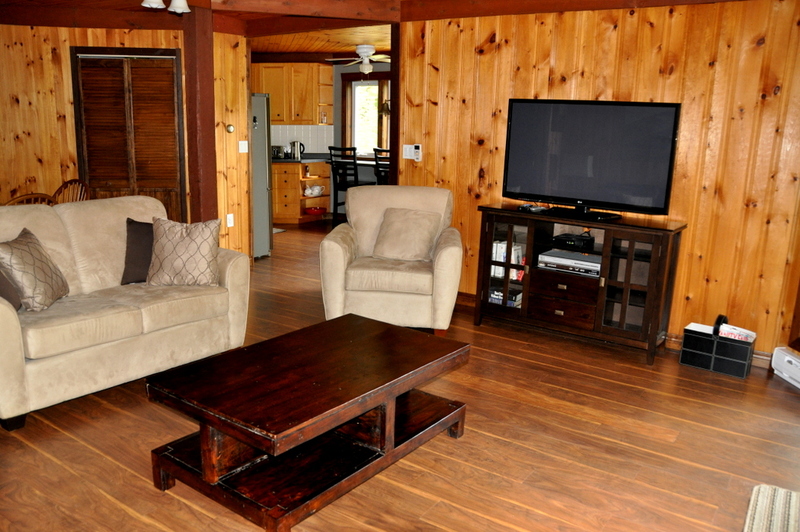 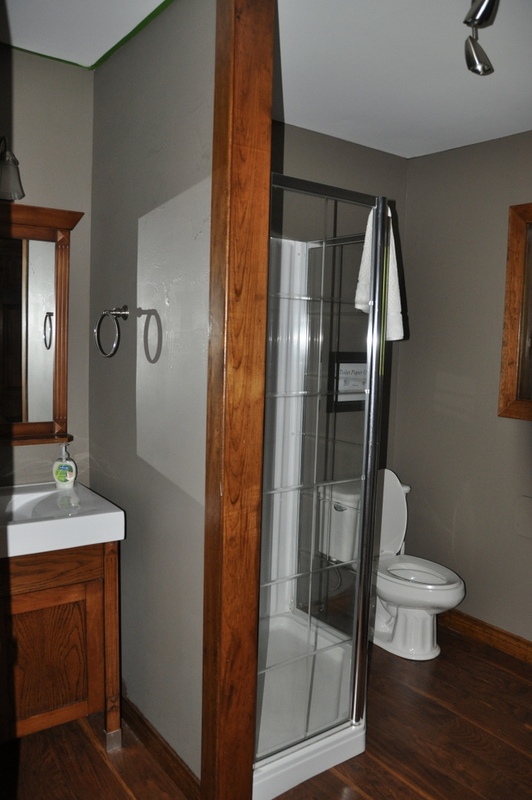 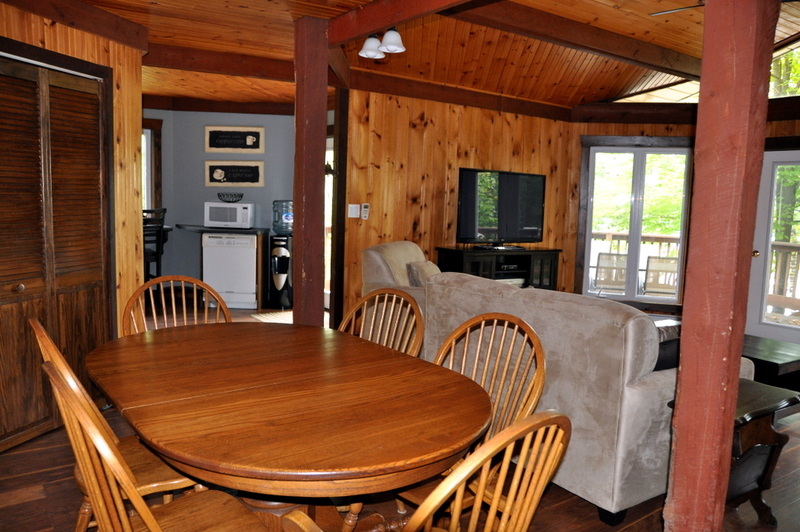 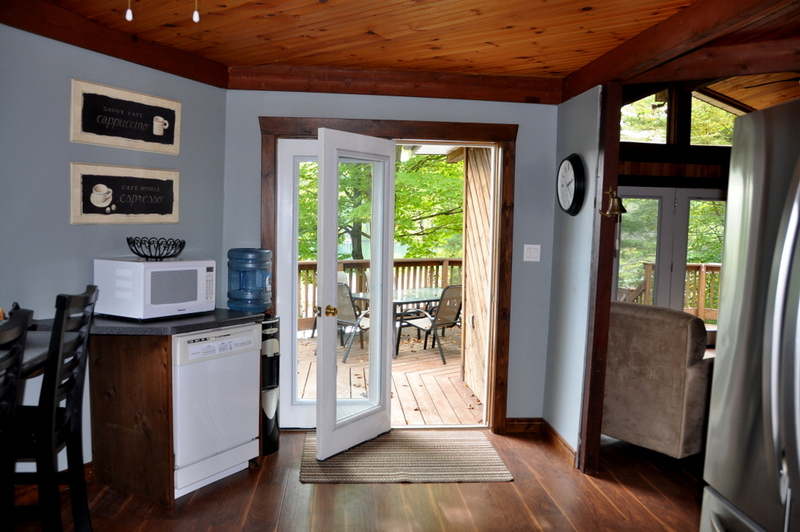 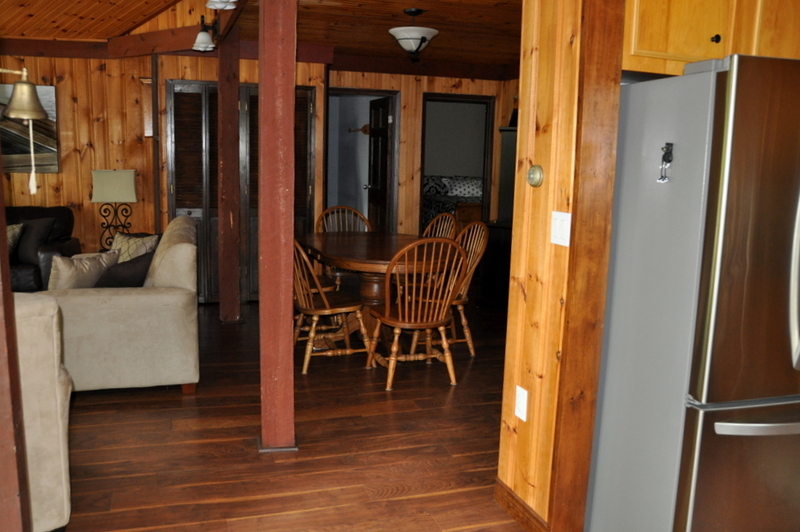 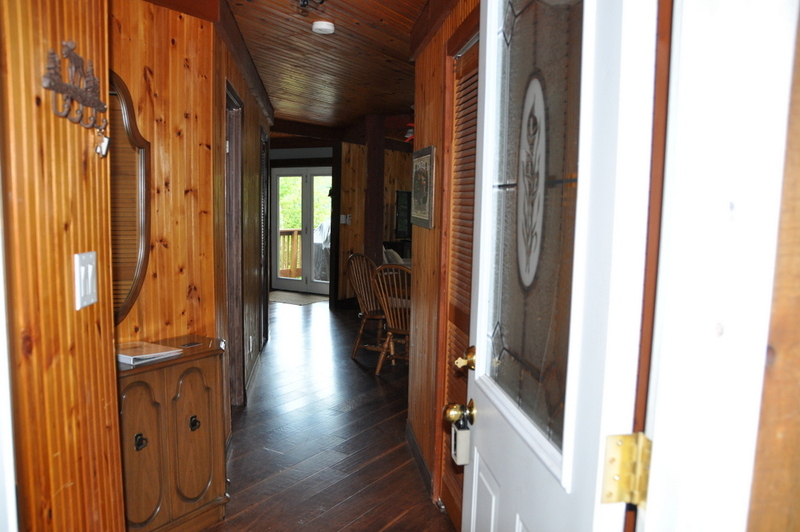 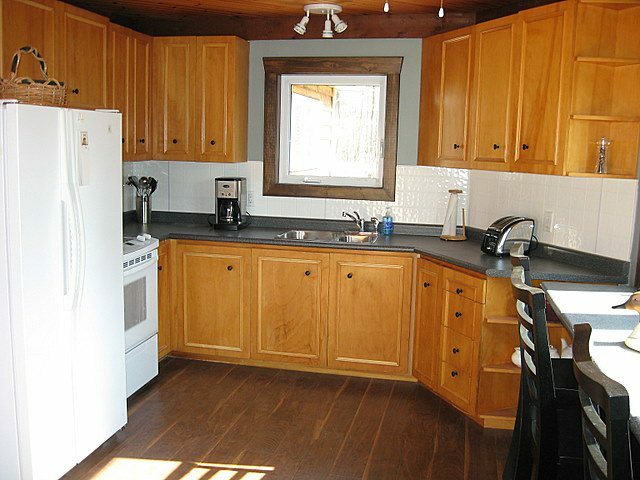 The interior of the cottage has been completely renovated, and is mostly finished with pine throughout. 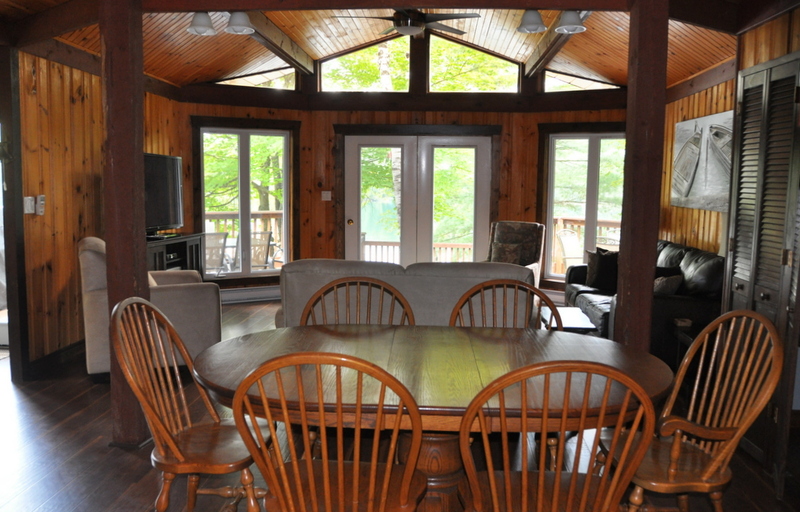 The vaulted ceiling in the living room gives a spacious feel and allows plenty of natural light to enter through the tall windows that face out over the lake. 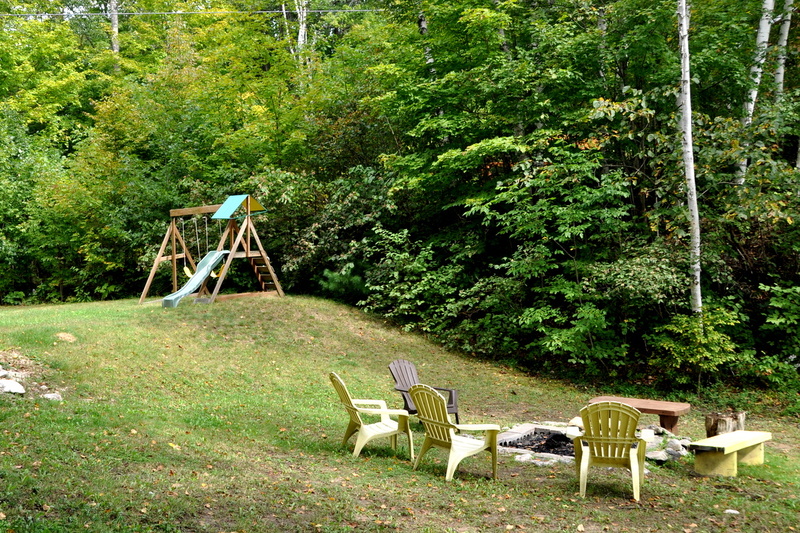 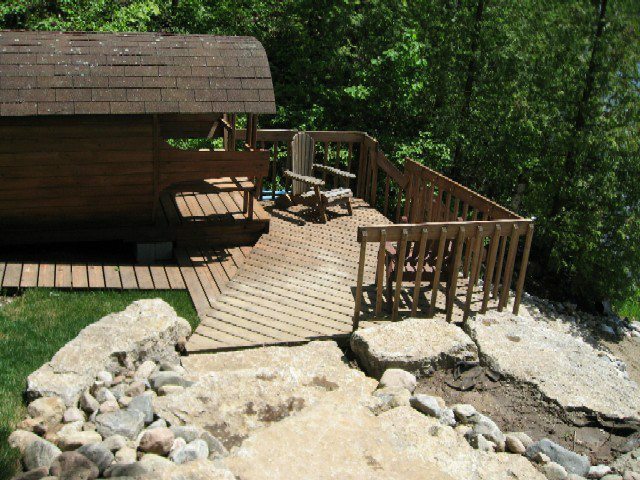 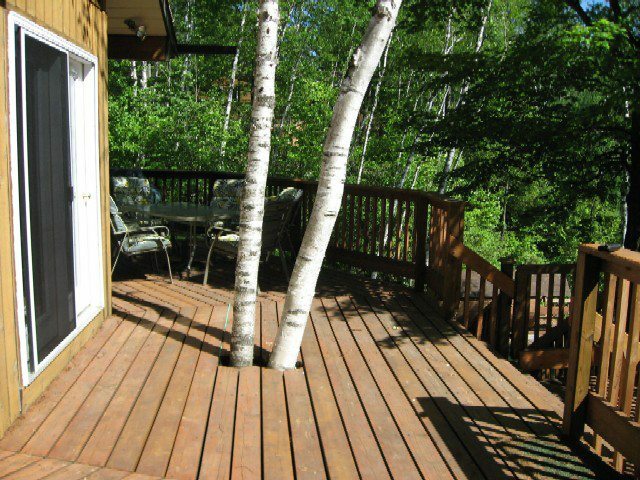 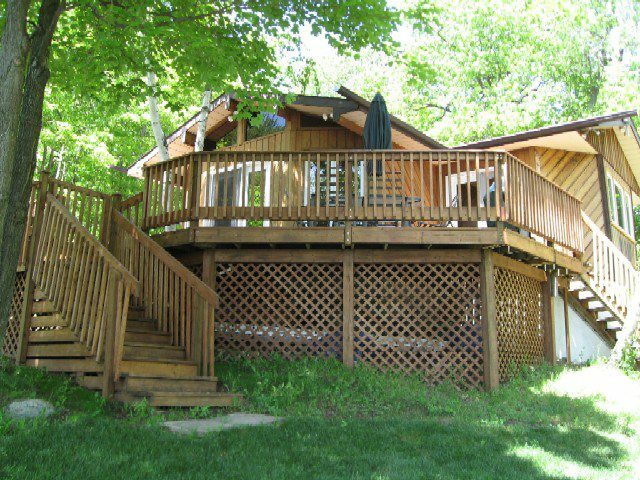 The large deck is a great spot to enjoy your days at the cottage with plenty of room to kick back and relax or entertain the entire family. 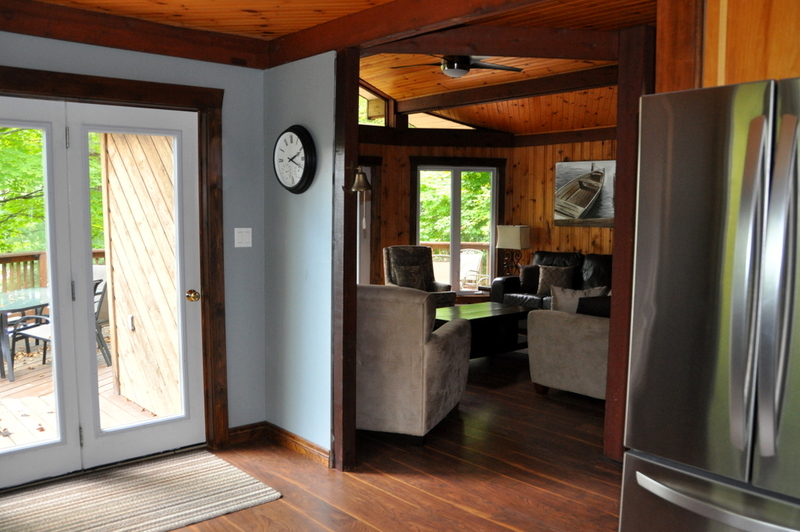 Self-latching gates are an added bonus to keep the little ones safely within the confines of the deck. 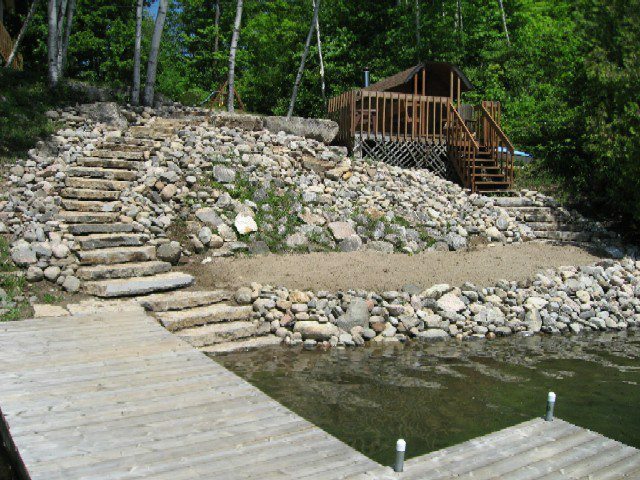 From the deck, the landscaped pathway leads you down to the waterfront where you'll find some steps leading you directly into the shallow swimming area found on one side of the dock where the bottom is soft sand and smooth granite rock. 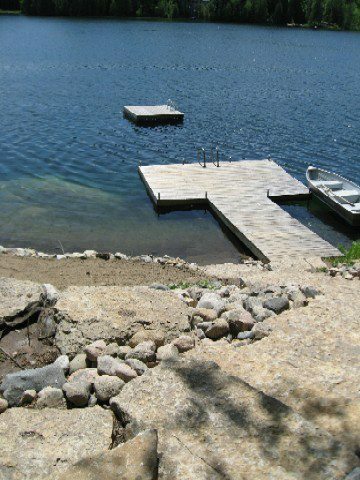 The water there stays shallow for about 15 feet out from shore and then drops quickly by the end of the dock. 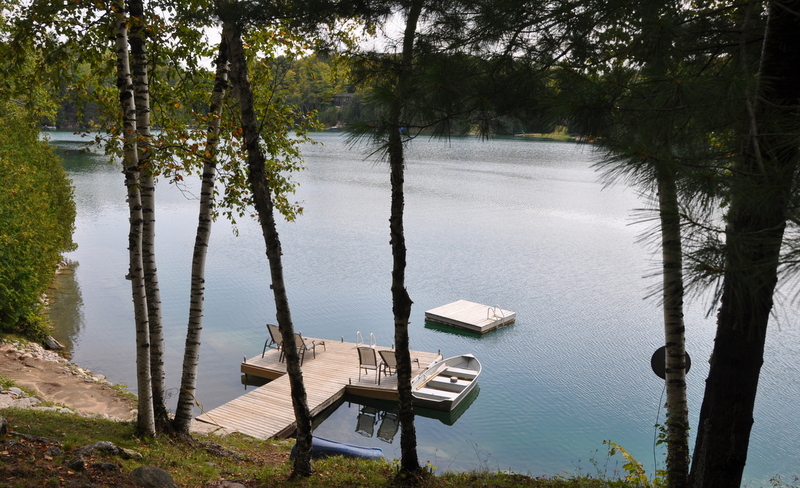 The dock has been the preferred area from which to jump into the clean, clear water, with the water being about 10 feet deep off the end, and then swimming out to the swim raft to play and splash about. 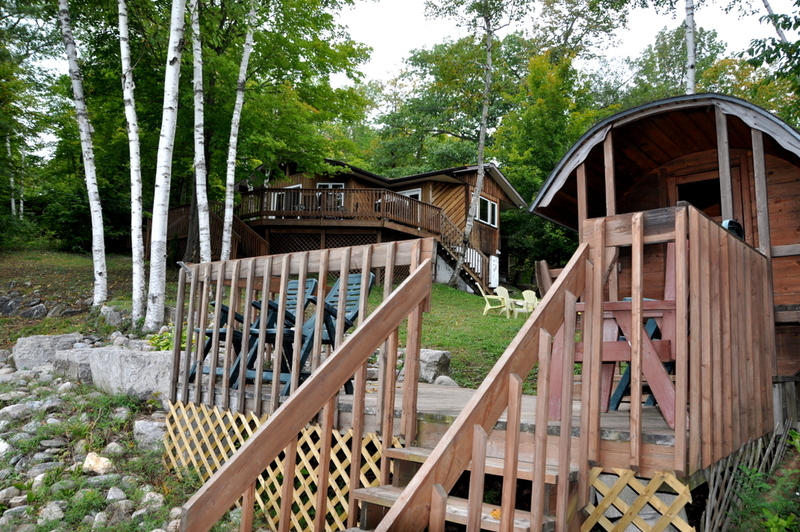 Your lakeside sauna is a great place to unwind after a day of activities. 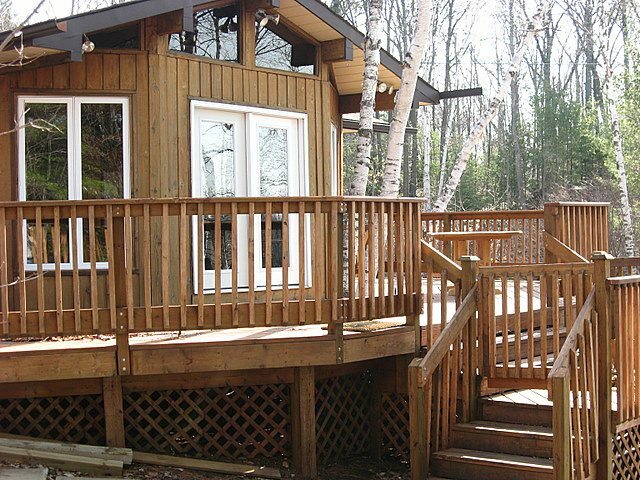 Enjoy sunsets from the dock or deck area and then sit under the stars with your favorite beverage to take in the serenity of cottage life. 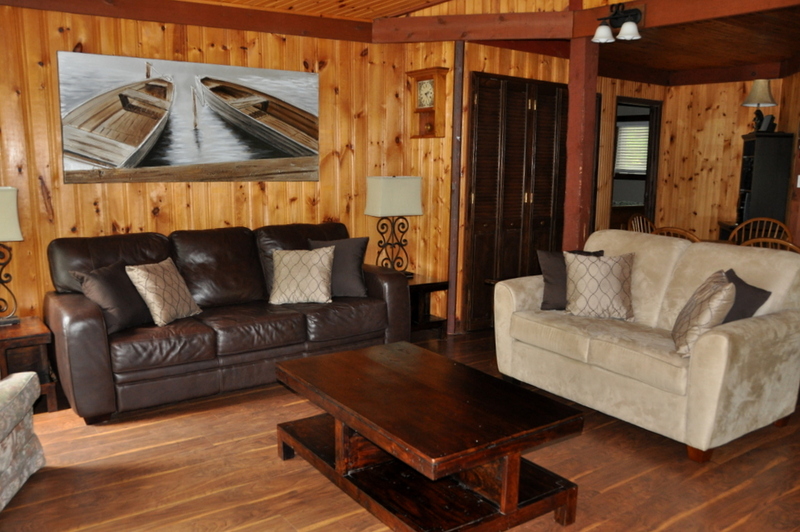 LOCATION: About 2 hrs from Toronto and just 10 mins from the small town of Minden for shopping, dining, groceries, LCBO and more. 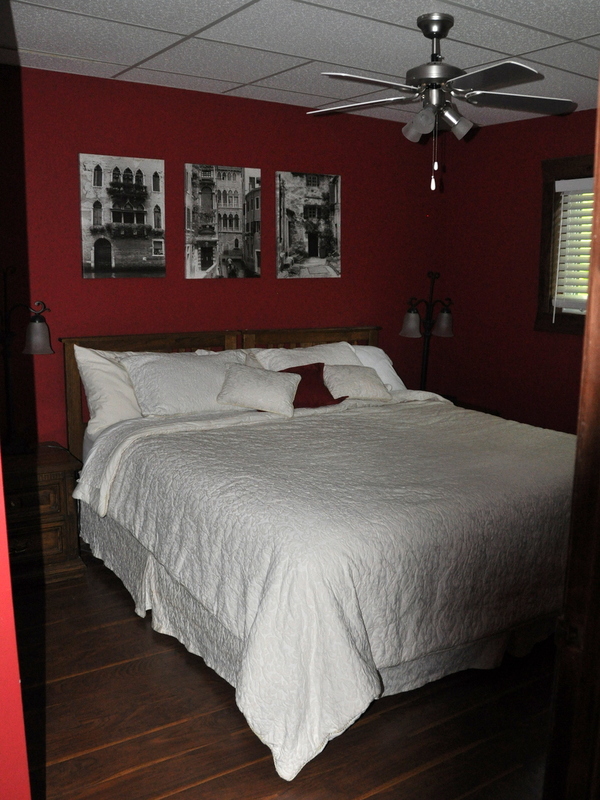 Pet allowed with conditions (sorry no cats) , no smoking, maximum number of occupants is 8, bring own linens and towels, bring own drinking water, noise restriction after 11 PM.